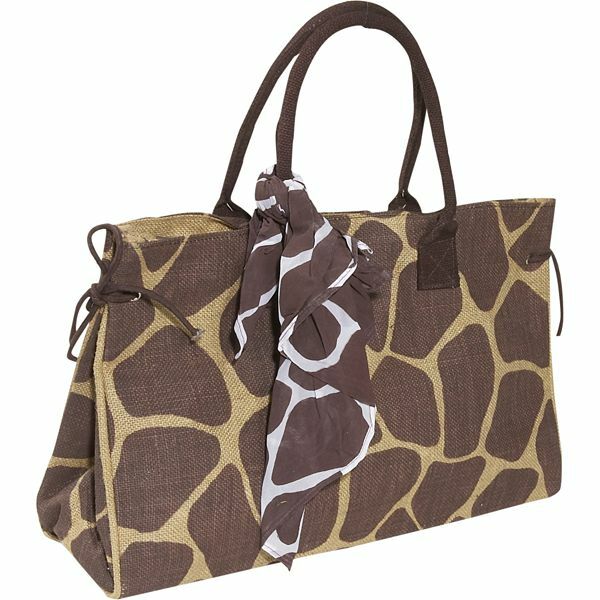 Grab this safari giraffe tote by Earth Axxessories and be ready for complements! Earth Axxessories bags are manufactured from jute, a tropical plant with lustrous golden fiber and high tensile strength. Strong in construction and innovative in design, the bags are created integrating other natural fibers, such as canvas, straw, silk, hemp, and raffia, in addition to leather and man-made materials such as PVC and nylon.